Doors open at 7 PM. First set at 8. Continuing our two group doo wop acappella concert series at Roxy & Dukes, this strong line up should bring everyone out!. 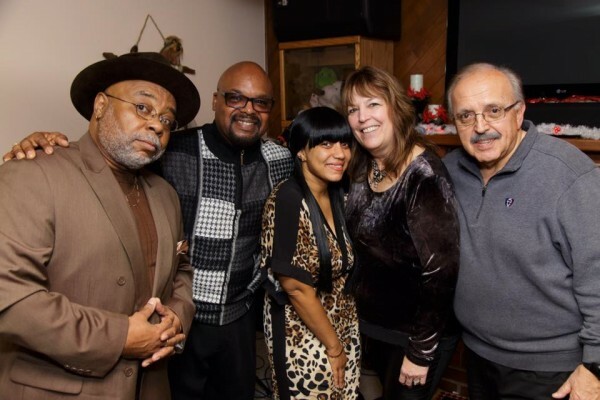 QUIET STORM never ceases to amaze us with their impeccably tight harmony and their ability to entertain. 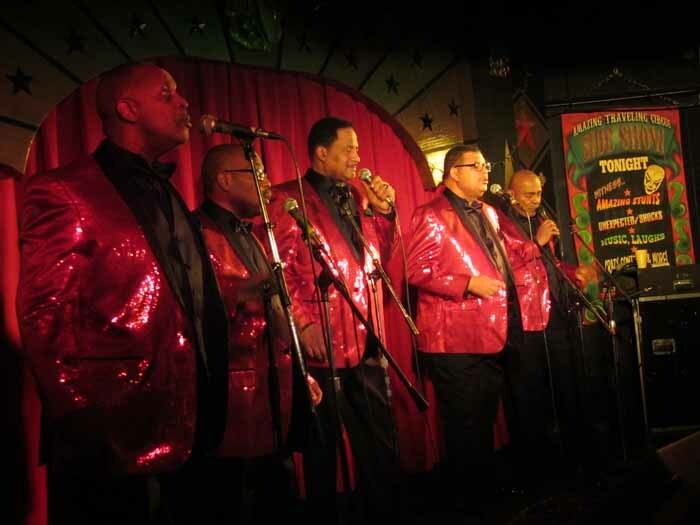 They brought the house down at our recent Doo Wop Explosion concert. As we approach our first anniversary at Roxy & Dukes we recall it was QUIET STORM who started things off for us last July. Welcome back, guys! 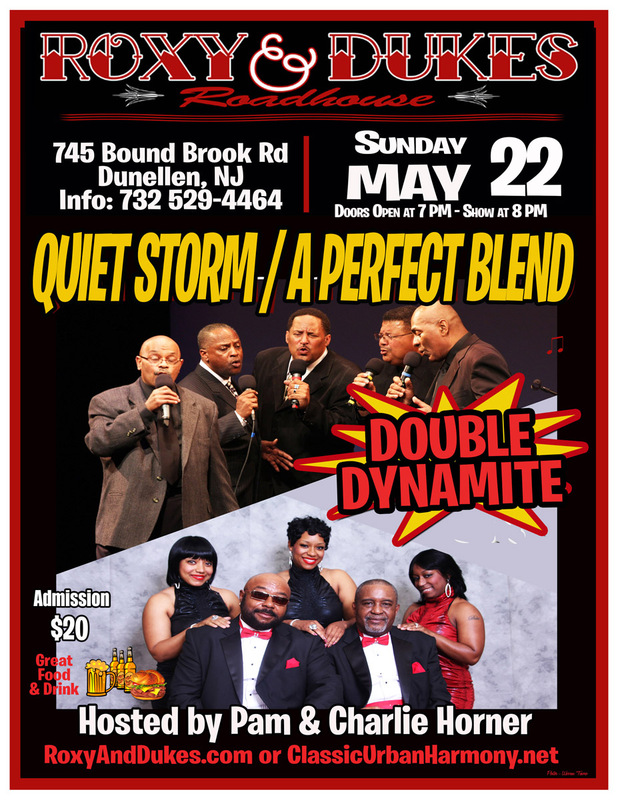 Joining Quiet Storm will be another Philadelphia institution, A PERFECT BLEND. Their soul harmonies have thrilled audiences for years. Now with some recent personnel changes, A PERFECT BLEND retains the “perfect blend” of harmony they are known for.. We welcome them to Roxy & Dukes for the first time.. Don’t miss this show. Each group will sing a 40 minute set. Admission is $20 at the door. To reserve a spot at a table,leave a message at 732-529-4464 or email us at CUH@att.net. Great food and drink available. Free parking. Concert produced and emceed by Charlie & Pam Horner of Classic Urban Harmony LLC.